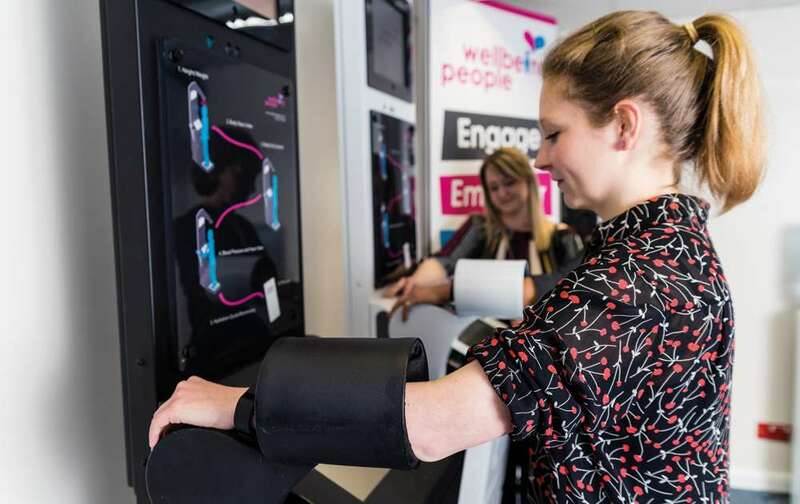 Wellbeing People have many Interactive Health Kiosk rental packages to suit the requirements of a business, organisation or community. It is vital throughout a wellbeing programme that an organisation understands the value of what it is delivering. 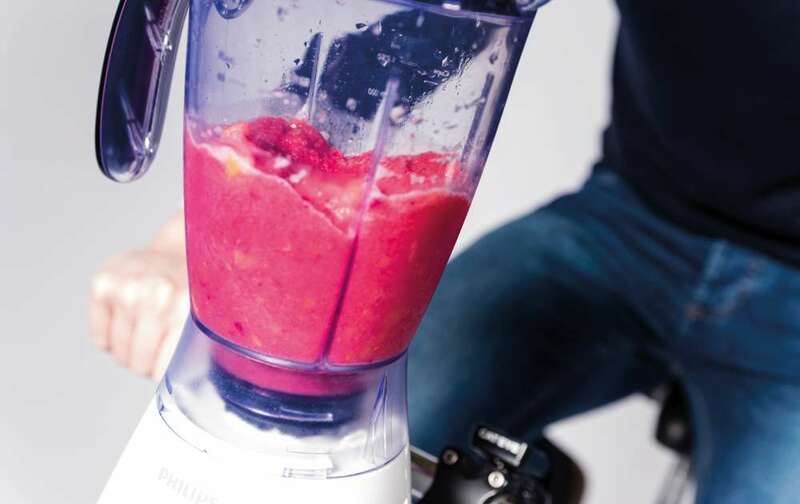 Wellbeing People report on all aspects of the process, from employees and individuals receiving a Health MOT over time, to complete management reports delivered after health fair events, long term or short term rental periods. Outcome: Understand the health and wellbeing of your workforce. Build a wellbeing strategy. Support employee wellbeing. Whether you would like a long term, short term or just a one day rental, Wellbeing People will discuss your requirements with you and build a package that fits in with your budget, location and timescales. We understand that organisations needs may change, therefore with all our programmes we offer total flexibility so that we are able to adapt and support your business needs. We can provide a Wellbeing People Health Coach to support one day rental programmes. 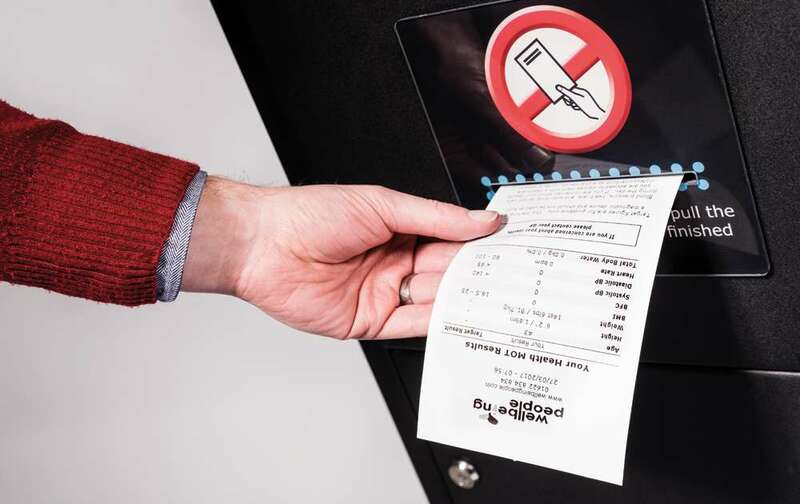 For longer term rentals, a member of the Wellbeing People team will train a designated employee or site manger to use the Health Kiosk which will include how to replace paper rolls for the results slips. Please note, whilst our Health Kiosks remain unsupported in your location, they would need to be covered by your own insurance. Being able to understand the health metrics of a workforce is the key to being able to deliver the right support services to help employees make positive changes to their own health and wellbeing. After each wellbeing programme, health fair event or rental period, an anonymised management report is generated. 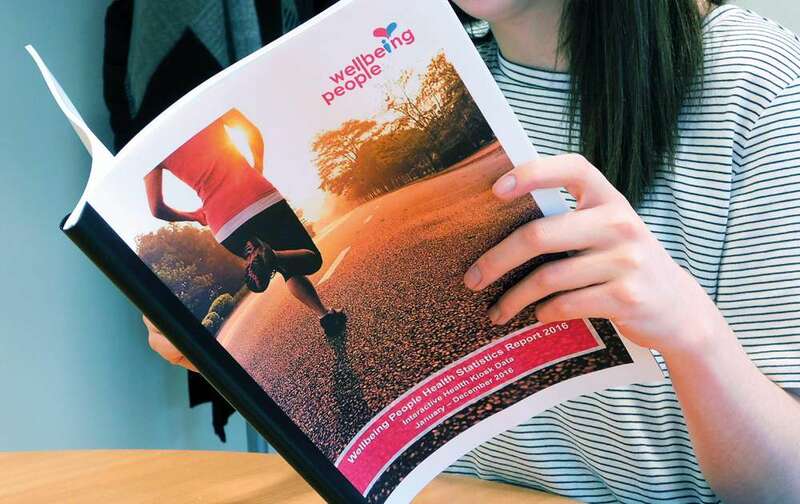 Wellbeing People report on all aspects of the process, from individuals receiving a measure of their vital signs over time, to complete management reports. Reports are carefully analysed and suggestions made by the Wellbeing People team. Further comparison reports can be created over time if a Health Kiosk is onsite for a long term rental. Anonymised user analysis tracks trends such as weight loss or reduced blood pressure – these statistics can be provided in a report. Building new and strengthening existing referral pathways is crucial to the success of any health and wellbeing programme. We work closely with organisations to ensure that the journey from initial engagement to final outcome maximises the potential to improve the health and wellbeing of the employee or individual; identifying need, finding an appropriate intervention and seeking to support the individual through to a positive measurable outcome. Wellbeing strategies can be put into place to help ensure the good health and wellbeing of employees. Being proactive rather than reactive to staff health issues could result in better staff retention, reduced levels of sickness and increased productivity and performance. Our rental programmes, reports and referrals are all tools to help businesses and organisations build their own wellbeing strategy.